Emphasis on the human-animal bond has had greater importance in recent years. Companion animals have increased in popularity and many household dogs and cats are now regarded as beloved family members and not just used for protection, rodent control, and working duties. These animals now have the role of friend. National Pet Obesity Awareness Day is October 9, 2019. Visit the Association for Pet Obesity Prevention’s website, petobesityprevention.com, for weight loss tools, information on calories in pet foods, and latest news about the fight against pet obesity. Media attention on the epidemic of human obesity has led to more interest in nutrition and exercise and, with it, a demand for high-quality nutritional products for companion animals.9 Despite developments in companion animal nutrition, some pet owners still prefer to formulate food and treats at home. A 2006 survey performed by petplace.com estimates that more than 90% of owners who purchase specialty dog foods give their dogs treats in the form of table foods or specifically purchased dog biscuits, bones, and chews; 34% of cat owners give treats as well.1 While treats are an important resource in behavior modification and can contribute to the human–animal bond, it is important to communicate to owners that excessive feeding of treats interferes with appetite and dietary balance and leads to obesity (see Calculating Treat Calories). Lower calorie foods can also be used for treat rewards. For example, 1 tablespoon of peanut butter has the same number of calories as 3 cups of air-popped popcorn without butter. Other low calorie foods that can be used as treats include ice cubes, string beans, melon, carrots, apples, and other fruits and vegetables. When making suggestions for human food treats it is important to advise clients against dangerous items, such as onions, garlic, grapes, raisins, and any food item containing the artificial sweetener xylitol. An appropriate dietary history (including treats and table foods) is important to assess each patient. As a general rule, recommend that the patient receive no more than 10% of its daily caloric intake from treats.1 For example, if a dog needs 500 kcal/day for weight loss, it can receive 450 kcal from its food, which should be formulated for weight loss, and up to 45 “treat calories.” The 10% rule is important because many treats are nutritionally deficient in multiple areas. Providing 90% of the patient’s food via a balanced diet will ensure that the animal receives all essential nutrients as set forth by the Association of American Feed Control Officials (AAFCO) standards. More research has been committed to the basic needs of our companion animals and how meeting those needs can improve the lives of many family pets. Even though most owners are concerned about the overall emotional well-being of their pets, they are not educated about proper ways to provide environmental enrichment. See How to Enhance Your Pet’s Environment (Today’s Veterinary Practice, July/August 2012, page 81) for more ideas on how to provide environmental enrichment for pets. This pet owner handout is available at todaysveterinarypractice.com. 2. Take a feeding history when evaluating pets and be prepared to provide feeding recommendations that address the animal’s particular dietary needs. Feeding recommendations should take into consideration pets’: age/life stage, activity level, body condition (thin, ideal, overweight, obese), disease state (cardiac disease, atopy, organ dysfunction, etc). 3. Counsel owners on treat rewards; help them determine what types of treats are best as well as the appropriate amount to feed each day. 4. Encourage owners to pursue environmental enrichment and regular exercise with their pets. As the role of companion animals changes from an animal designed for a purpose to a member of the family, it changes the ways in which we provide optimum care. Recognizing the relevance of the human–animal bond and how it relates to behavior and disease in our patients can help practitioners better provide comprehensive care. A complete understanding of how food is used to interact with the family pet can provide insight to that animal’s case and provide solutions to its needs. Manipulation of food and treat protocols, as well as environmental enrichment, can enhance the health and emotional well-being of specific patients. Hand MS, Lewis LD, Crane SW, et al. Commercial pet foods. Small Animal Clinical Nutrition, 5th ed. Topeka, KS: Mark Morris Institute, 2010, pp 160, 213, 502. Bauer JE. Evaluation of nutraceuticals, dietary supplements, and functional food ingredients for companion animals. JAVMA 2001; 218(11):1755-1760. McMillan FD. Development of a mental wellness program for animals. JAVMA 2002; 220(7):965-972. Bland IM, Guthrie-Jones A, Hill TJ. 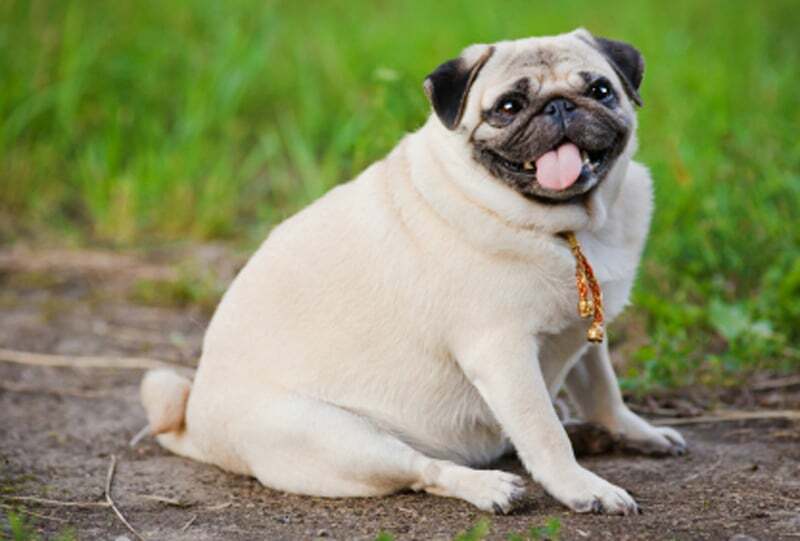 Dog obesity: Veterinary practices’ and owners’ opinion on cause and management. Prevent Vet Med 2010; 94:310-315. Kealy RD, Lawler DF, Ballum JM, et al. Effects of diet restriction on life span and age-related changes in dogs. JAVMA 2002; 220(9):1315-1320. Heuberger R, Wakshlag J. The relationship of feeding patterns and obesity in dogs. J Anim Physiol Anim Nutrit 2010; 95:98-105. Courcier EA, Thomson RM, Mellor DJ, Yam PS. An epidemiological study of environmental factors associated with canine obesity. J Small Anim Pract 2010; 51(7):362-367. Colliard L, Ancel J, Benet JJ, et al. Risk factors for obesity in dogs in France. J Nutrit 2006; 36:S1951-S1954. Steiff EL, Bauer JE. Nutrition adequacy of diets formulated for companion animals. JAVMA 2001; 219(5):601-604. Horwitz DF. Environmental enrichment for dogs and cats. NAVC Clin Brief 2007; Oct, pp 53-54. Ellis SLH. Environmental enrichment: Practical strategies for improving feline welfare. J Fel Med Surg 2009; 11(11):901-912. Shyan-Norwalt MR. Caregiver perceptions of what indoor cats do ‘for fun.’ J Appl Welfare Sci 2005; 8(3):199-209. Laura Eirmann, DVM, Diplomate ACVN, is a clinical nutritionist at Oradell Animal Hospital in Paramus, NJ, and a veterinary communications manager with Nestlé Purina. She received her DVM from Cornell University and completed a residency in clinical nutrition under veterinary nutritionists at University of Pennsylvania, Tufts University, and Angell Memorial Animal Hospital. Bethany Fackler is a fourth-year veterinary student at Mississippi State University College of Veterinary Medicine. She plans to obtain a residency in comparative ophthalmology and pursue a career in academia. Other areas of interest include companion animal nutrition and small animal emergency and critical care. Joel D. Ray, DVM, MS, is an assistant clinical professor at Mississippi State University and assistant service chief for Community Veterinary Services at the MSU Animal Health Center. He coordinates the small animal internal medicine course for veterinary technology students and lectures both veterinary and graduate students. He received his DVM and MS from Mississippi State University.